Born Princess Juliane von Saxe-Coburg-Saalfeld. Born 1780 (or 1781? ), died 1860. She was the consort of Grand Duke Constantin. View another version of this portrait. This painting was thought to have been destroyed by bombs during World War II. Prior to WW II it was in in the Herzoglisches Museum, Gotha, Germany. Another story is that it was Seized by Red Army from Herzoglisches Schlossmuseum, Gotha, Germany. That may be how it ended up in Moscow. 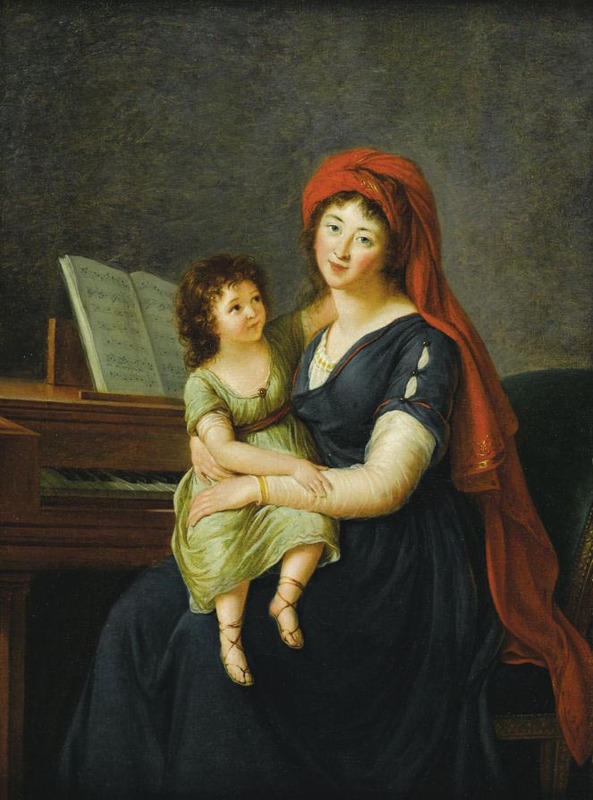 Princess Ekaterina Nikolaevna Menshikova, née Princess Golitzyna (1764-1832) with her daughter Princess Elisabeth Sergeyevich Menshikova (1791-1802). 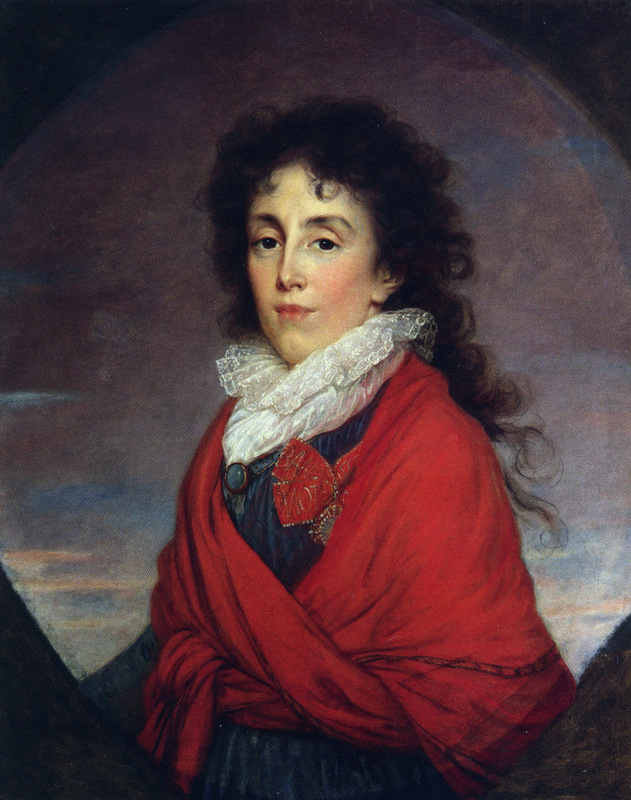 Second daughter of Chief Marshal Prince Nikolay Mikhailovich Golitzyn (1727-1787) and Princess Ekaterina Aleksandrovna Golitzyna née Countess Golovina (1728-1769). Married Sergei Aleksandrovich Menshikov (1746-1815) in 1794. Russian Lieutenant-General, senator, later appointed privy councilor by Alexander I. 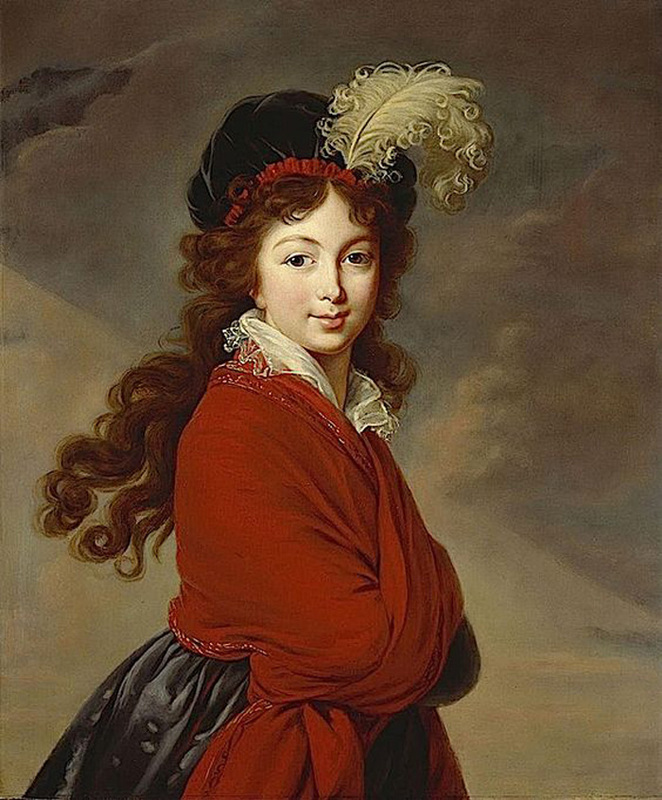 She was mistress of Count Ivan Kirillovich Razumovsky (1761-1802) brother of Andrei Kirillovich Razumovsky. 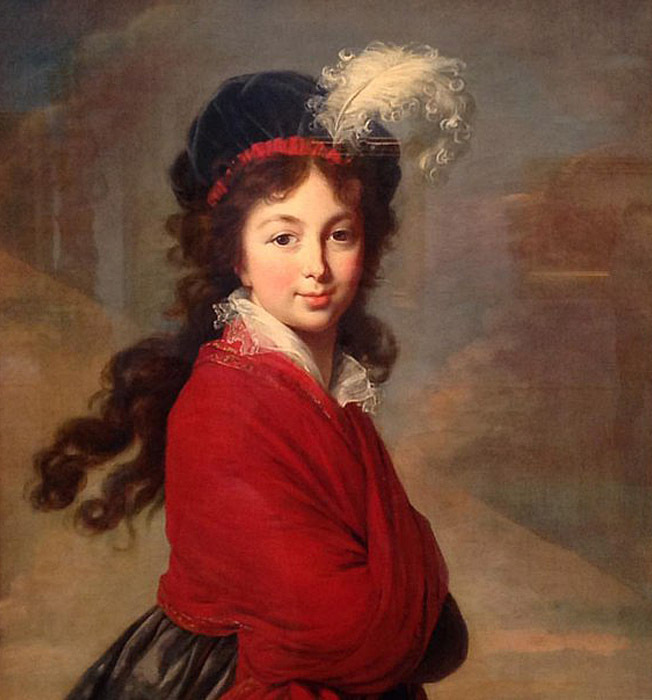 View a copy by Vigee Le Brun's Niece Mme de Riviere. rincess Ekaterina Iljinishna Golenishchev-Kutuzova, neée Countess Bibikoz lived 1754-1824.She was the wife of the famous field marshal M.I. 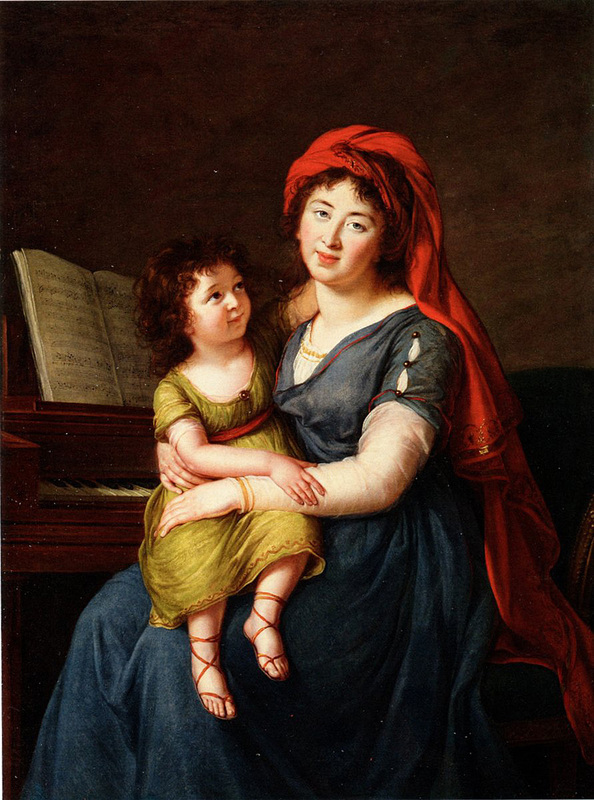 Kutuzov; Vigée Le Brun also painted their daughters, Daria Michailovna Opotchinine (Art Page 99) and Countess Prascovie Michailovna Tolstoy.